Before I get into a discussion of the movie, I wanted to let you know that I have a new novel out. 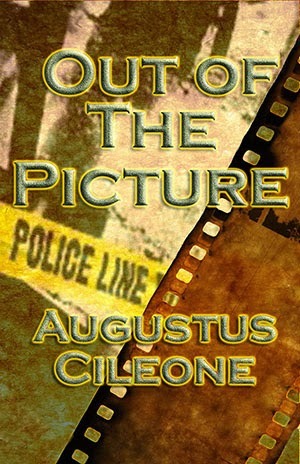 It’s entitled Out of the Picture. For all of you film lovers (as well as mystery and animal lovers), the book is geared to you. It is a murder mystery loaded with film references. It also has an anti-animal abuse theme in it. All author earnings will be donated to Kitty Cottage, an animal shelter. You can find out about this organization at http://kittycottage.org. You can order the book at the Amazon link below. I probably would have called the movie Jamaica, because I like the way the people talk there. But, nobody asked for my preference. Anyway, as a former Federal employee, I am familiar with the machinations of bureaucracy. I experienced the crazy regulations and redundant procedures imposed upon me as a civil servant. Although one can experience the frustrations of the individual confronting large institutions in the private sector as well (anyone who has tried to get his or her cable company to fix a problem knows about that), the fear of a centralized, all powerful entity strikes totalitarian fear into those who value personal freedom. 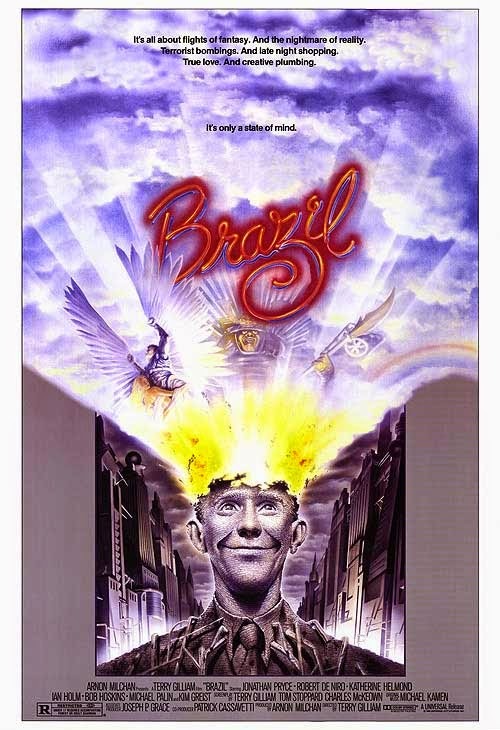 So, it's not surprising that a movie like Brazil would draw my interest given my work background. Add to that the fact that I am a Monty Python fan, and Terry Gilliam is the director, and you have the deal sealed. The film is a dark comic take on the plot of 1984, with a Big Brother government and modern technology that looks old (very much the way the future appears in Gilliam's 12 Monkeys). 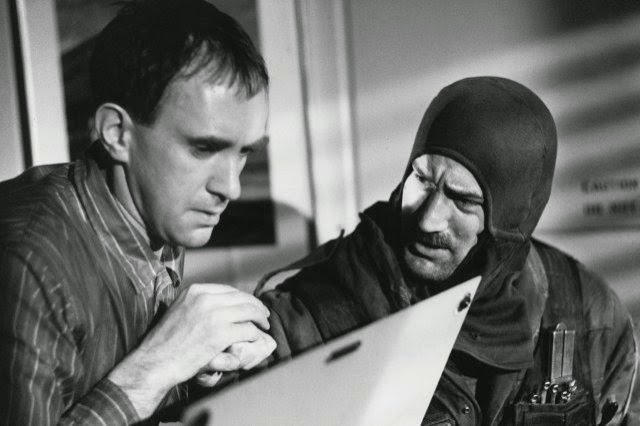 There is the dissatisfied worker, Sam Lowry (played by Jonathan Pryce), who is drawn into the resistance movement because of a girl (in this case Jill, played by Kim Kreist). The individual is not successful here, just as in George Orwell’s book, at least not in the "real" world. The difference here is that while 1984 is deadly serious, Gilliam pulls out all the stops and turns the cautionary tale into a satire. Probably the most effective images Gilliam employs in the movie are ugly air ducts that snake through every room in this brave new world. They look like the tentacles of a huge octopus invading everyone's lives. The kraken has been released! In a great scene where Robert DeNiro appears as a renegade repairman dressed like a military commando, he opens up the walls of Lowry's flat and the ducts expand and contract, as if breathing. This metaphor is an apt one showing the intrusion of the government as a living monster into individual lives. This privacy invasion is also seen when the two main characters are physically prodded by machines in the scenes where Lowry goes to his mother's party, and Jill confronts a government official about the wrongful abduction of her neighbor. It also seems that the film is saying that the more mechanistic we become, there are more chances for the machines to break down. There are numerous illustrations of this fact, what with Lowry's coffee machine pouring liquid on his toast, his air conditioning breaking down, and plastic surgery operations becoming fatal. When "Central Services" is called to fix things, they are either unavailable, don't have the proper paperwork, or create more damage instead of repairing anything. The phones in the film have the most annoying ring tone around, sounding like a demonic dentist drill. Of course, the more things break down, the more the population is dependent on those in control of the systems in place. Totalitarian regimes try to control their subjects by manipulating the outward appearance of the world in contrast to the underlying reality. 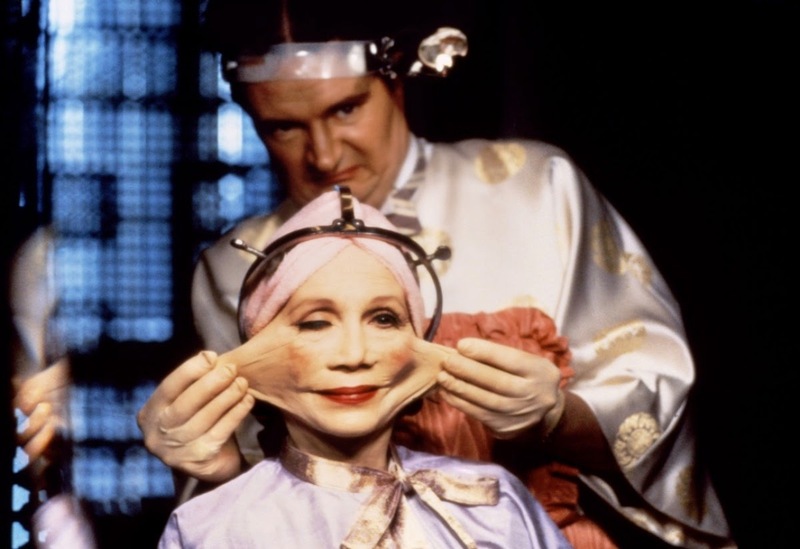 The emphasis on having plastic surgery in the film illustrates this idea. Also, in the movie, the food at the restaurant served to each person is a yucky mush. But, each plate is accompanied by a picture of a savory meal, implying that is the reality they are to buy into. And explosions are ignored as room screens are placed around the diners' tables, promoting the idea that one should ignore the negative facts in the environment. The paperwork here is labyrinthine, where you need a receipt to show proof that you have received a receipt. It is paralyzing and strikes fear into people (such as Lowry's boss, played by Ian Holm) if procedures aren't followed. Which appears to be the goal of the ruling bureaucracy. Gilliam seems to be saying that this type of world wants its inhabitants to be frustrated and feel powerless. Another brilliant and devastating image occurs when in Lowry's dream state the resistance blows up the Ministry of Information and there is paper everywhere. The paper covers and entangles DeNiro, and he disappears in it, symbolizing how the individual is lost in the whirlwind of bureaucratic red tape. The effect of the dehumanizing bureaucracy is shown in the offices where Lowry goes after his promotion. There are numbers on office doors, not names. His office is so small it looks like a closet, or the size of a prison cell. People are seen as becoming diminished and restricted. But, Gilliam never shows us any manipulating, all powerful heads of state. It’s as if this bureaucratic and mechanistic construct here has a life of its own. One of the posted signs in the street says "Suspicion breeds confidence." People have been taught to suspect each other. That way, they will not become stronger by banding together. Later in the film, Lowry asks Jill to trust him, and realizes that he has to earn her trust if they are to succeed. There is another sign which reads "Happiness – we're all in it together," which is an anesthetizing slogan to placate the people. When DeNiro says, "We are all in it together" it is genuine because it is in the context of the power of joined resistance to authoritarianism. The sound track has the song "Brazil" being played. It is a Latin-infused, fun, liberating song which is in contrast to the life of the characters. Lowry escapes his claustrophobic, penal colony of a world by losing himself into a dream state. There, he flies on Daedalian wings in the sky, pursuing his blonde fantasy (also Jill), doing battle with the monsters imprisoning her. (Robin Williams lives in a similar fantasy in Gilliam's The Fisher King). In the end, when he is a restrained captive, his body may be enslaved, but his mind, through imagination, has escaped into freedom. Next week’s movie is The Andromeda Strain.